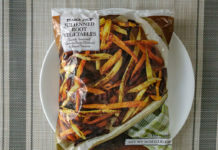 Is MorningStar Farms Veggie Pulled Pork any good? On its own, it’s a fairly bland uninteresting product. Topped with some homemade slaw, BBQ sauce and other fixings though, it’s more than fine as a meat replacement. 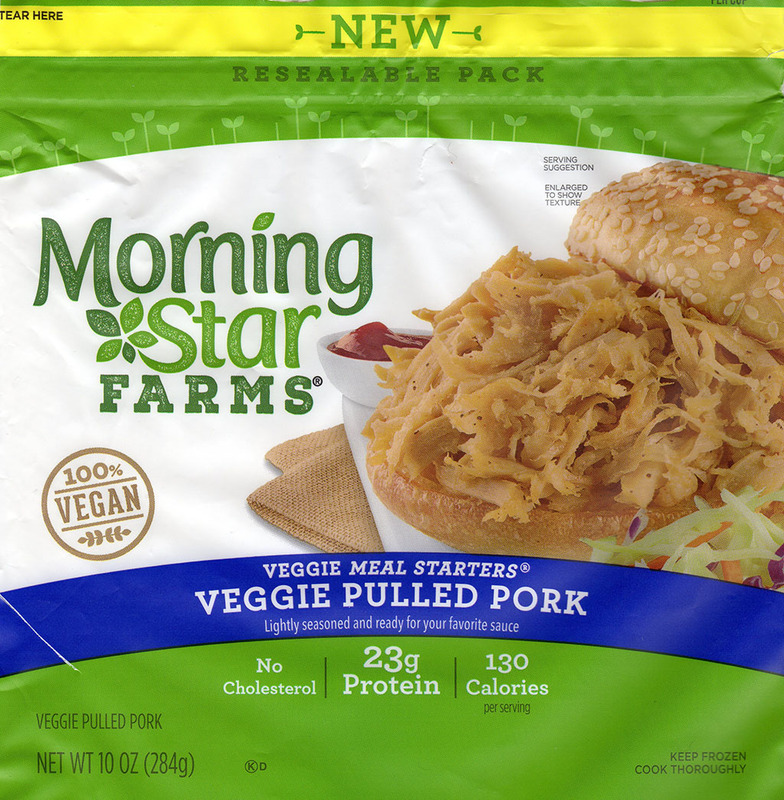 MorningStar Farms Veggie Pulled Pork is relatively new to their lineup, launching around 2017 I believe. 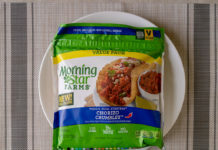 Ever a fan of MorningStar Farms products, when I spied this in the freezer section, I knew it was coming home with me. 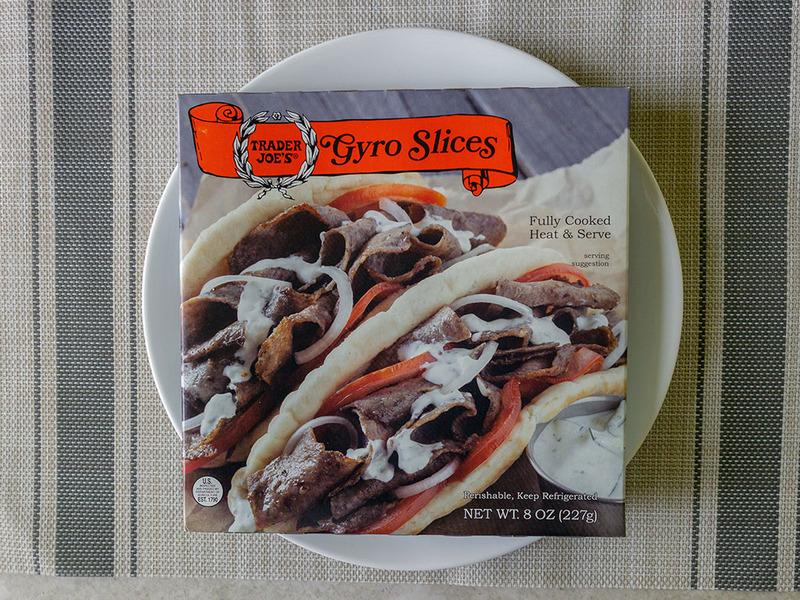 Thoughts of Summer time BBQ dinners without the effort, mess, or calories sprang to mind. 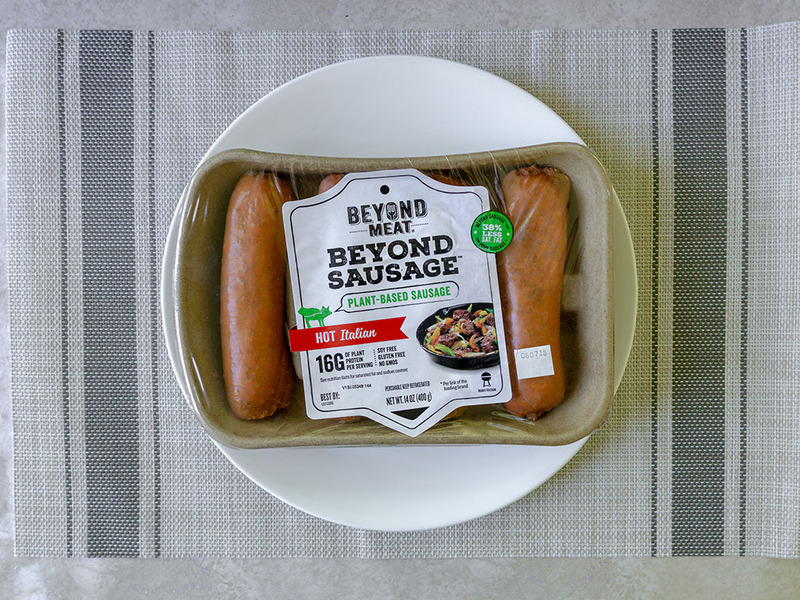 First impressions where a little disappointing – and in truth I’ve learned a lot from my first efforts with the product. So much so I’m going to give the product a second try and rate it again later. The initial let down? 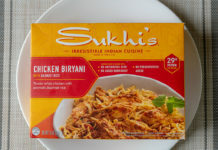 Out of the bag and cooked per the instructions, its a fairly bland, lackluster product with little to no taste. 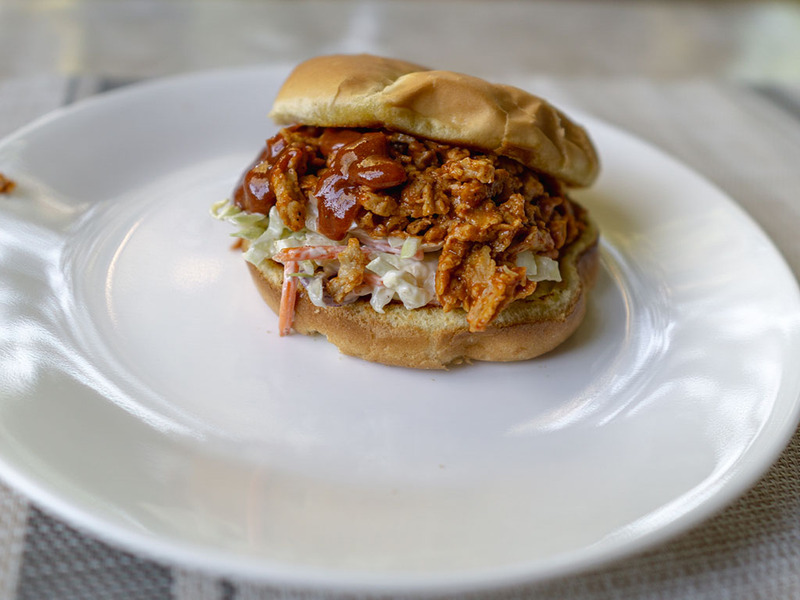 You need to do something more with this pulled pork, a lot more. In the picture below you’ll see I topped with some generic BBQ sauce and basic homemade coleslaw. That just about brought the product from a 2.5 to a 3.0/5.0. Decent enough but not mind blowing. Next time around I’ll be heating it through before finishing it off in the pan with just a little BBQ sauce, but coated all over. I think that might really be the trick to elevating this. 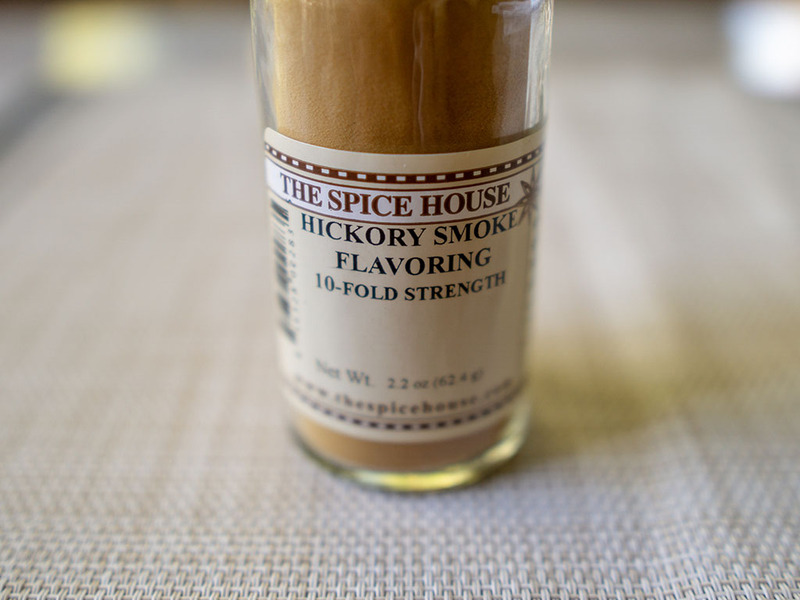 I also have some Hickory Snoke Powder form The Spice House that I might put to good use as well. 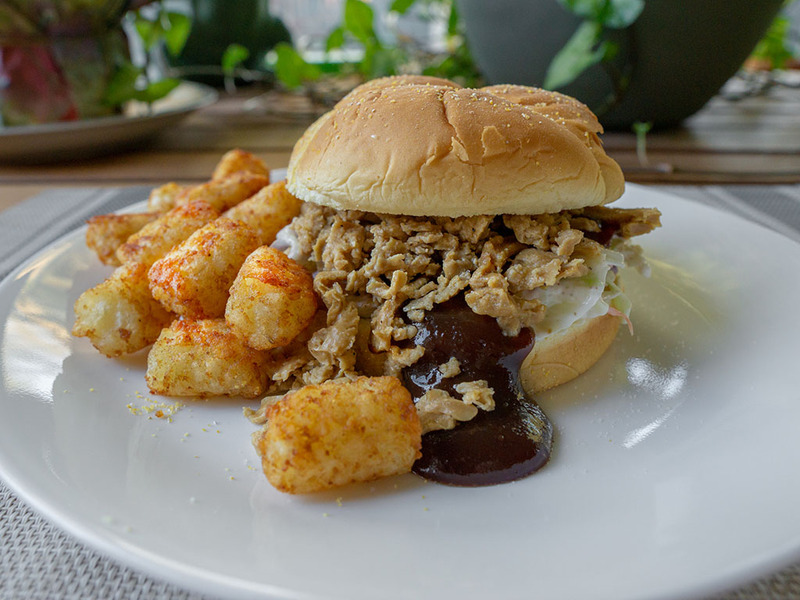 The big plus points for this veggie pulled pork is the texture. 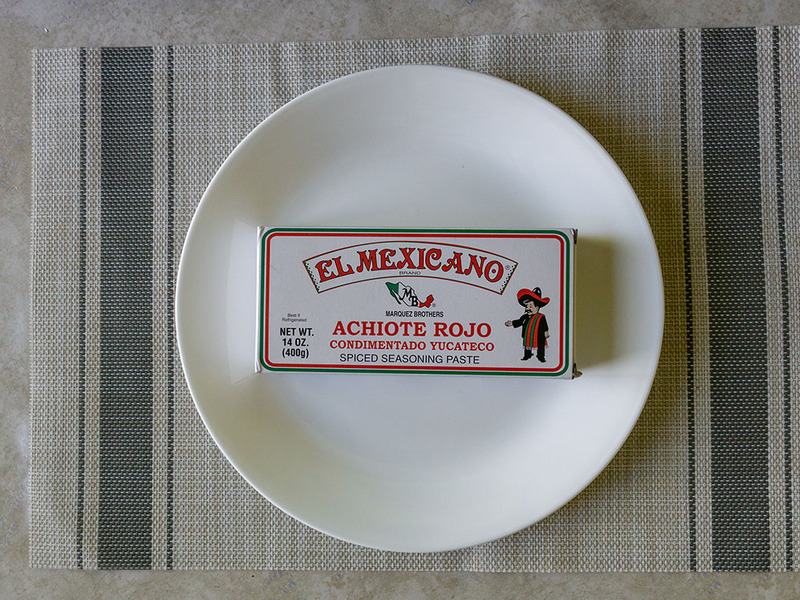 It has a very defined chewy, not quite up there with the real thing, but enough to give heft and bite to your dish. 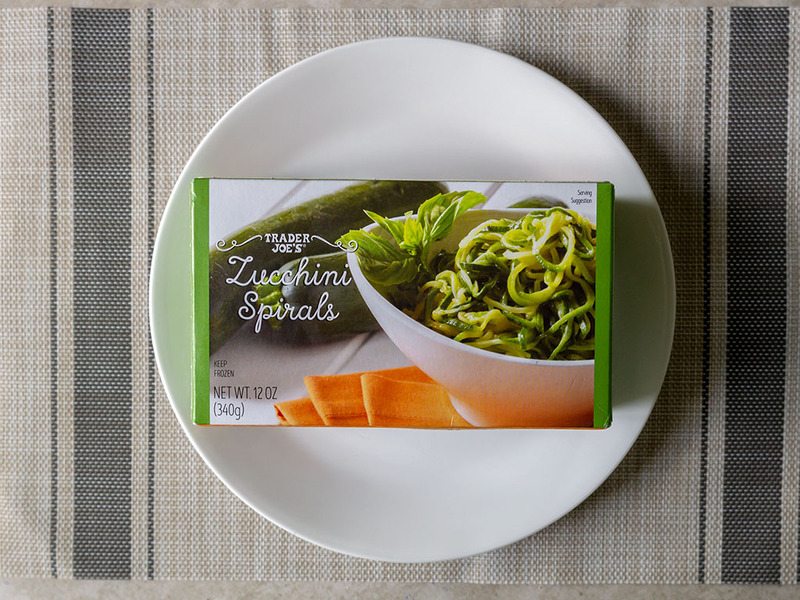 Also worthy of note, unlike a lot of MorningStar Farms products, this one is vegan friendly too. 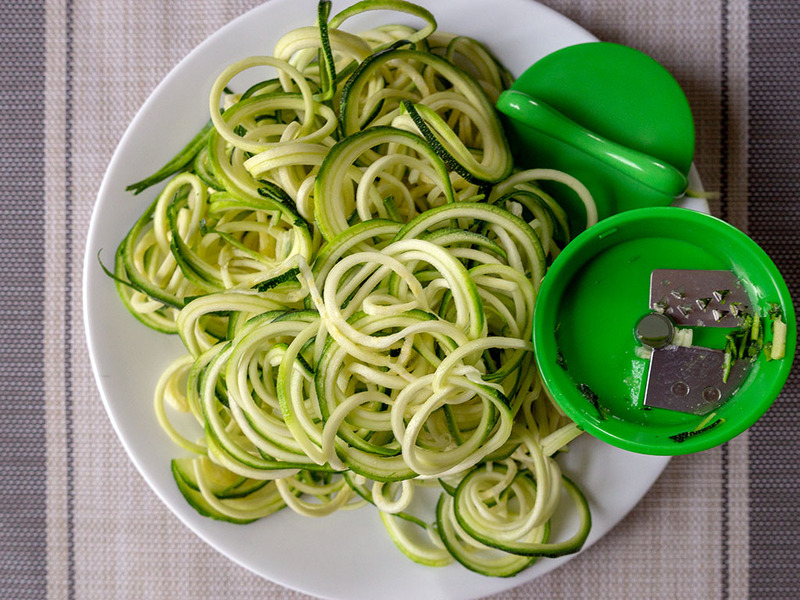 Cooking is as simple as much of this product line tends to be. Three minutes covered in the microwave with just a splash of water. 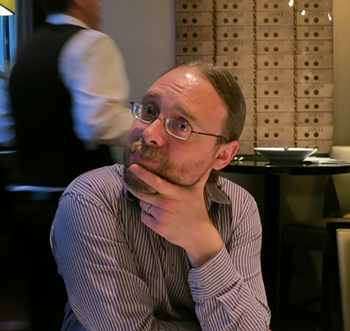 That said, per my comments above, next time around I’m also going to finish with 60 seconds in a pan too. 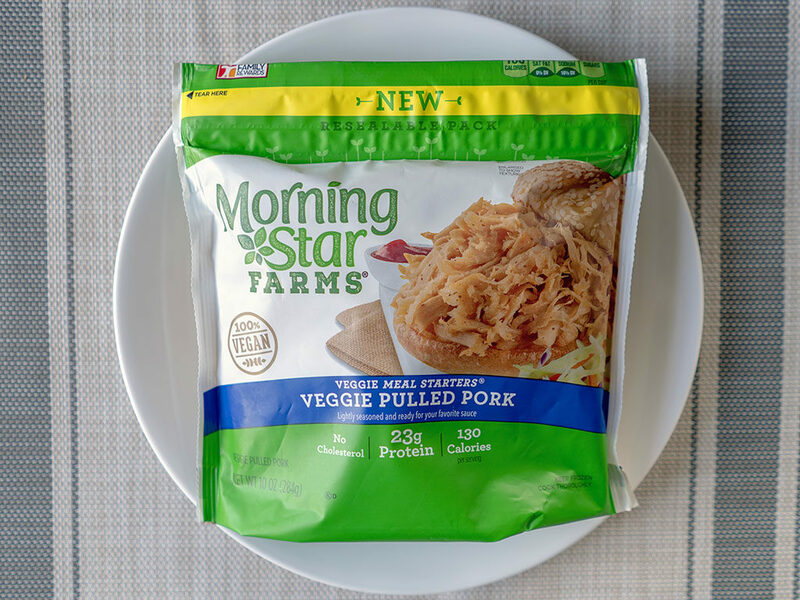 What dishes can I make with MorningStar Farms Veggie Pulled Pork ? So I went ahead and prepared these by cooking in home made BBQ sauce, after a little pan cooking first with some Spice House Hickory Smoke powder. Flavor wise this was slightly better, but still far from ideal. I feel I need to perfect a better BBQ sauce first and use a little more smoke flavor too; this stuff is strong and I didn’t want to go too crazy first time out. Also, cooking in the pan was slightly detrimental to the pulled pork, causing it to become a little too mushy. For my third attempt I’m going to go with more smoke, better BBQ sauce, less cooking time. Hopefully that’s the trick to mastering this product. I’ve had an incredibly hard time finding this product since the last update. 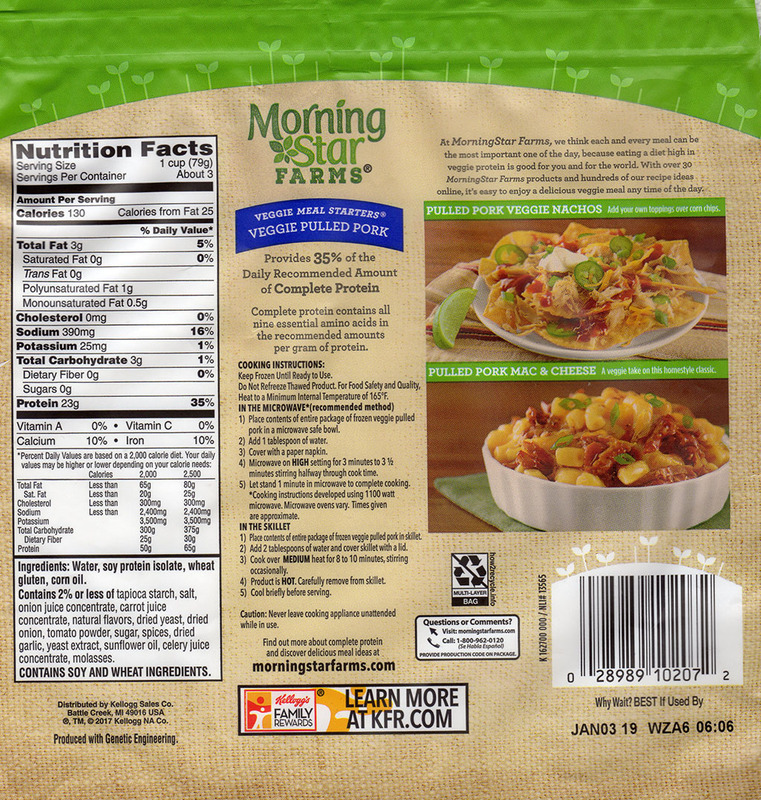 In fact I’ve not seen it in stock at multiple grocery stores that carry larger MorningStar Farms range. At any rate, my quest continues for a great vegan pulled pork alternative. 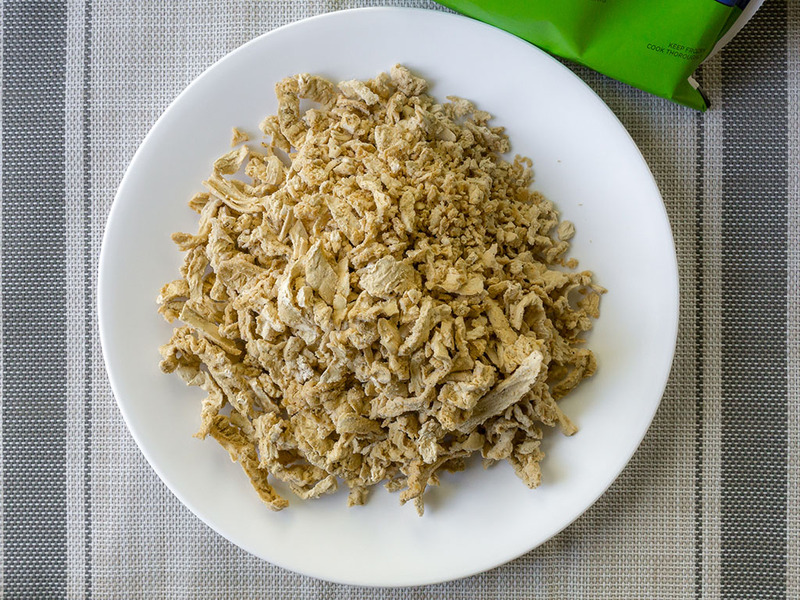 Right now I am loving Butler Soy Curls for this dish. 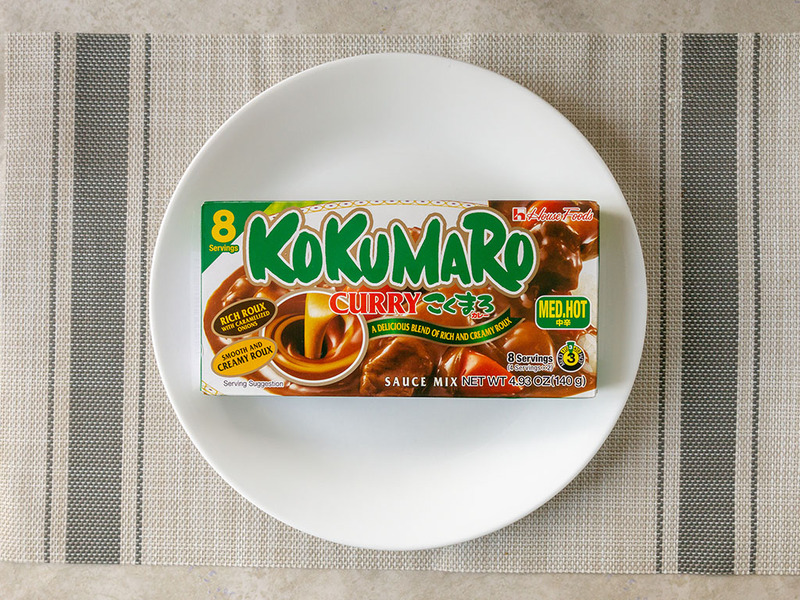 Check out our review of this fun and flexible soy product – we think you’ll love this product.